“The Game won’t launch” might be one of the most horrifying messages to receive when it comes to Football Manager as the hundreds or maybe thousands of hours spend on working your way from League 1 in England to Premier League has taken ages. On the road you have build up a relationship with your players. As Football Manager crashes you fear the worst is out. I assume we all has experienced errors, game crashes or other issues with Football Manager, either its the game won’t launch or downloadable objects like football manager graphics or downloadable tactics which doesn’t appear as they should in the game. 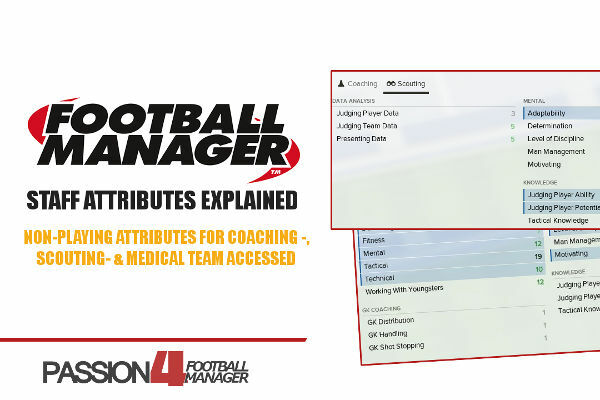 But don’t worry, the help is here, thanks to our ultimate Football Manager troubleshooting guide. In this section we will compile all the troubleshooting issues from how to delete / clear cache in Football Manager to how to work-around issues with Steam Workshop. We will try to provide you with help to sort out any quick-fixing problems, so you can continue your game. Keep in mind that there might be different reasons of why the game crashes or why the game won’t load. Normally these issues can be fixed easily by following the steps below. Do notice that for more serious problems, such as crash dumps and etc, we recommend you to contact the developers of Football Manager by uploading your save via FTP. Read more about this in the bottom of this post. Deleting cache is the first thing I do whenever a new patch or data update has been released in order to fetch completely new files in case some files has been modified. It simply re-installs the game to default. When the official Football Manager 2016 16.2 or 16.3 transfer and data update are released, everyone must clear the Football Manager caches before either continuing their save game or starting a new one, or any other patch for that matter, in order to make sure the game loads properly. By deleting the cache you will look to fetch completely new files without destroying your save. There are two ways to delete cache in Football Manager. Make sure “Show hidden files and folders” is selected before proceeding. You can show hidden files and folders by searching for the file explorer in Windows 8 or Windows 10. On the header click ‘View’ and make sure above ‘Show/hide’ that ‘Hidden Items’ is ticked’. For Windows 7, please watch this video tutorial if you are unsure on how to do this. Deleting cache can also be done for the editor if you experiences problems saving or loading the official Football Manager 201X editor. Simply select the “Editor 201X” folder instead and delete caches folder within. Verify gaming cache is the number one step in order to re-install complete fresh files of the newest version of Football Manager. Re-installing fresh files of Football Manager will not break your save, as it will be fully playable after verifying gaming cache. This means that any deleted files will be restored, for example if you have deleted the fake.inc file which fixes real competition / player names and make the German or Japanese national team visible. This means that those files will be restored and the German national team will once again be invisible (if starting a new game). There are also those weird circumstances when you have problems loading Football Manager because of wrong settings in preferences. This can be either skins that aren’t working as they should and you aren’t able to change skin in preferences or other graphics rendering issues. It can simply be the case of you wanting to set your preferences to default restoring the game to the default folder location for savings or remove any shortcuts manually added. 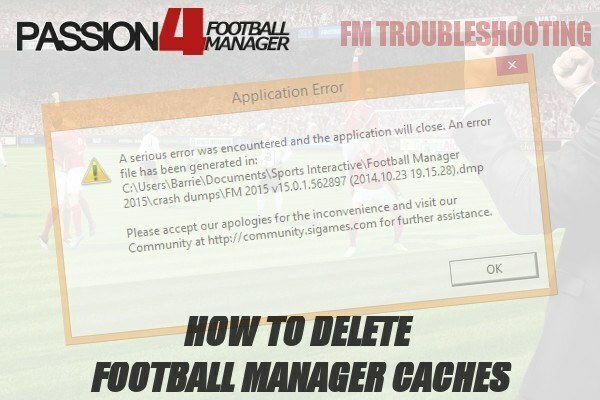 In order to delete the Football Manager preferences, you will use the same approach as when you deleted your cache. But this time you delete the preferences folder instead. There are two rendering modes available in Football Manager; GPU assisted and software. Changing the rendering mode might be one of the steps to play Football Manager on your computer. It depends solely on the type of graphics card you have, if its shared or dedicated memory. For those with shared video memory such as Intel HD Graphics, which has no memory of its own, but takes some from the overall system RAM, it’s important to change to software rendering. It is a recommended setting for those with weak graphical capabilities and will disable some graphical effects – most notable in-match and around the match day experience, as some weather effects might be disabled. GPU assisted supports animations and will put an higher influence to your graphics RAM. If you experiences issues with matches, for example that Football Manager 2015 turns itself off or is lagging change the rendering mode to Software. With the release of Football Manager 2016 and Windows 10 there have been some people who have had issues with not being able to launch Football Manager 2016. Here we like to give you a brief walk through on the steps you can take whenever encountering similar problems. As these issues can be related to different computer specs, graphic card, softwares and anti-virus programs running in additional to different updates installed for your programs, it’s not an easy case to point at a specific fix or a specific route to take. We recommend to try each of these steps, try to launch the game to see if it’s working before going to the next step. 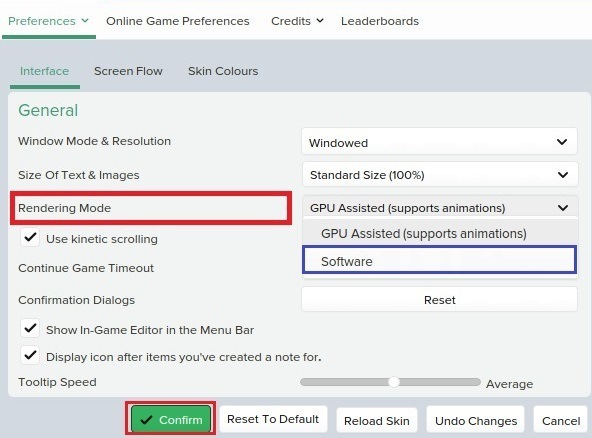 Make sure your Graphics Card drivers and installed and fully up to date – Read more about how to update your Graphics card or visit the home page of your Graphic card distributor. There are 3 possible solutions, AMD/ATI, Nvidia or Intel. If running on a laptop with dual graphics cards, make sure they are configured for the correct card to run with Football Manager. 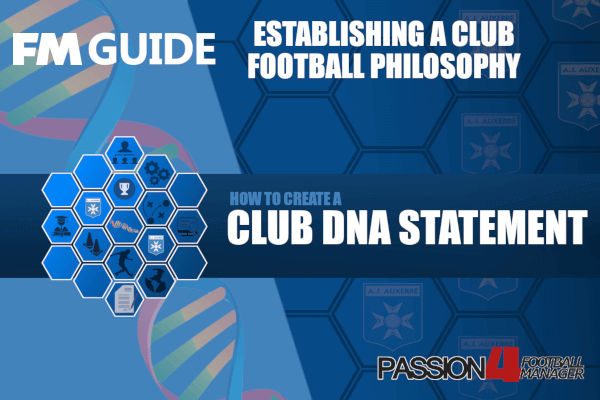 Read more about how to configure your laptop to run Football Manager with optimal settings. Make sure your Windows Updates, DirectX and Net Framework are installed and up to date. Learn how to update DirectX and Net Framework to the latest versions here. If you have completed all of the above without being able to resolve your issue please raise a support ticket with Sega by contacting them at [email protected]. Please include as many details as possible and list any troubleshooting techniques you’ve tried already so they can help you in the most efficient way. Remove any Workshop files like custom graphics and logos you may have added in preparation of launching the game. This can occasionally interfere or slowdown the game when launching. Experiencing Other Issues Which Is Not Resolved From Deleting Cache? P.S. Note that uninstalling the game will delete all files and folders created for Football Manager. This means that saves, tactics and other content will be deleted. 2) Contact Sports Interactive directly (recommended) by reporting the bug on the SIGames forum and uploading your save via FTP in order for them to investigate the issue. Read more about it here or learn how to find your DXdiag file which SI might request. Delete all the files contained within. We hope you find these troubleshooting tips valuable, but on the other hand we hope you will NEVER experience problems as game won’t launch and that deleting Football Manager cache is ONLY needed when updating the game with new add-ons and patches.